These badges are awarded to those who participated in #library2017 by sharing with the community. 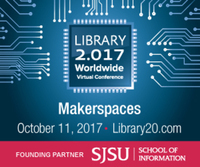 This badge is awarded to those who engage with the #library2017 community by sharing resources, blog posts and best practices. 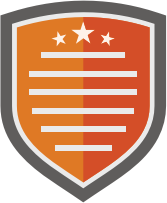 This badge is awarded to those who engage with the #library2017 community by sharing their learning goals and takeaways from the conference. Share your takeaways from a keynote session. 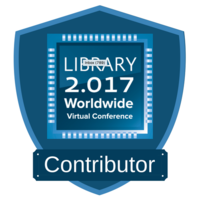 This badge is awarded to those who supported #library2017 by volunteering.